Choosing your quilting fabric is perhaps the most important part of creating a new project, whether it’s a small quilting project or a large one. 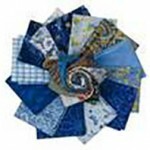 There are three elements to making a quilt so it’s important to choose the right quilt fabric for each stage. 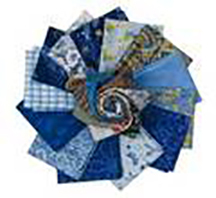 Top of the quilt, a combination of colors made up of quilt blocks. Quilt batting fabric which goes in the middle. Backing fabric for quilts, a complimentary color to the top. There are so many sumptuous fabrics available in every color you can imagine so it’s important to take some things into consideration. Are you a beginner quilter? Some of the synthetic fabrics can be tricky to deal with for the less experienced. Cotton is the best choice in this case. Make sure the fabric is colorfast. A beautiful quilt can get ruined in the first wash if the colors run. Choose a strong fabric with a tight weave, this way the quilt will last for many years and could even become a family heirloom! Make sure you have enough fabric especially if you’re using patterned fabric. Allow for pattern repeats and always add a little extra in case of mistakes. The choice of colors is very subjective and depends on the recipient of the quilt. 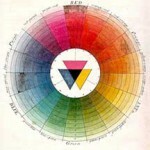 It’s still important to follow basic color theory; there are plenty of color charts available via a Google search. Avoid stretch fabrics, you’ll find it difficult to get accurate results when piecing as these types of fabrics. Cotton fabric is what most quilters will choose. They are usually colorfast, have a tight weave and are non-stretch. Cotton fabric comes in a wide range of colors and patterns; in fact, you’ll be spoilt for choice! Some cottons will have a little bit of shrinkage (unless it says otherwise on the label) so it’s important to wash and iron your fabric first. 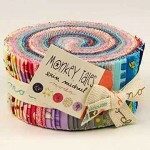 You can buy it by the yard or a more popular way is to buy Fat Quarter Fabrics (a rectangle of 20″ x 22.”). Check out the sale too, there are some great bargains to be had! Cotton is the best choice for quilt backing, but it should be of a similar weight and feel to the quilt top. You can buy wide quilt backing fabric for larger pieces so you don’t have to join pieces for your project. Because your quilting will be seen on both sides you want the back to look as good as the quilt top. Remember to use a color wheel to help you choose a complimentary color to the rest of your quilt and you’ll end up with a reversible quilt! Cotton Batting – usually 1/8″thick it’s the more favoured fabric because it’s made of natural fibers and has a soft texture. Polyester Batting – comes in different thicknesses and is lighter than cotton. 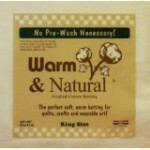 It is more often used for bedding as it keep you warm without the weight. Wool Batting – is used for its warmth and holds its shape well, popular with hand quilters as it’s good for tieing. Bamboo Batting – a 50% cotton 50% mix it’s breathable and machine washable. Fusible Batting – Allows you to baste the 3 layers together. Polyester/Cotton – usually 80% cotton 20% polyester, gives a little more loft. My preferred quilt batting is cotton with it’s softness and warmth. I recently discovered an article about quilters using Hemp (latin name Cannabis Sativa) fabric, this is tough stuff! As an alternative green solution to cotton and bamboo, Hemp comes up trumps. Hemp is grown under controlled conditions needing little, if any in the way of pesticides and fertilizers. It’s not grown as an intoxicant (marijuana or pot), but for the strong, and long fibers it produces. These fibers make it suitable for spinning and dyeing. You can read the article here. There are so many beautiful patterns and colors to choose from, we quilters are really spoiled for choice! Pop over to Keepsake Quilting where you’ll find a wide range of batting fabrics and other quilting fabric to help you make your choices! Hello. Your website is great. It’s clear and bright and really easy to navigate. 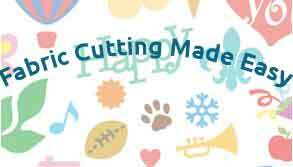 I have a friend who is quite obsessed with quilting at the moment so I know she will really appreciate your URL… Good work!